Friend of the blog, Smelter, sent me this picture of a bridge from his work commute saying that he thought I'd find it interesting. He was right. I was intrigued. 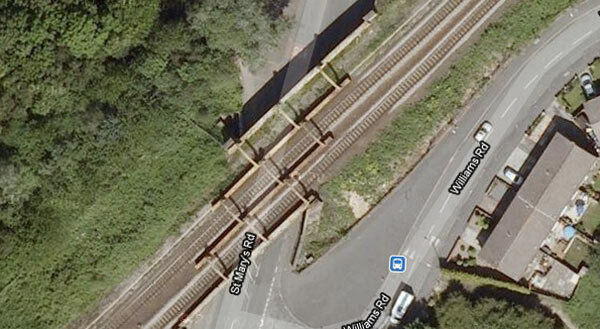 From what I could see, the bridge was a standard box section railway bridge. The steel, box shaped sides made for a very strong rigid structure perfectly capable of holding the weight of a train. But what about those arches? What were they for? They looked like they too were made from steel. The triangular braces would give the arch rigidity, yet keep the structure light in weight. They just didn't seem to be doing anything. Why have arches on the top of a box section? Smelter kindly sent through another picture. I admit that I was none the wiser. If anything, I was a little more puzzled. The arches seemed to have some kind of twist in them. Weird. Finally, Smelter let me off the hook sending through this link to the same bridge on Google maps. All became clear. 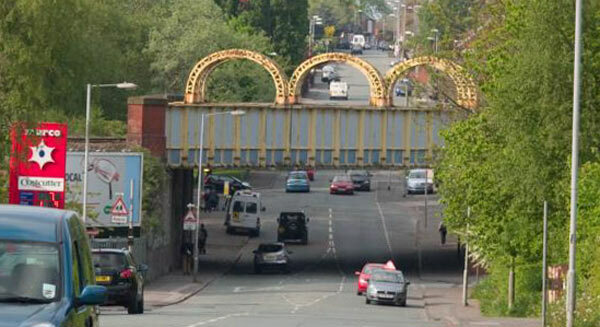 The arches ran across the bridge, not along it. They were there to join the box sections together. 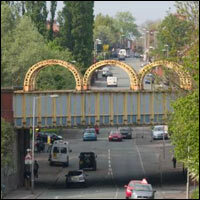 The arch would provide clearance for the trains to fit under. If you visit the site on Google maps you can have a virtual wander round with street view and see the arches from a few different angle. Thanks Smelter! I really enjoyed that. 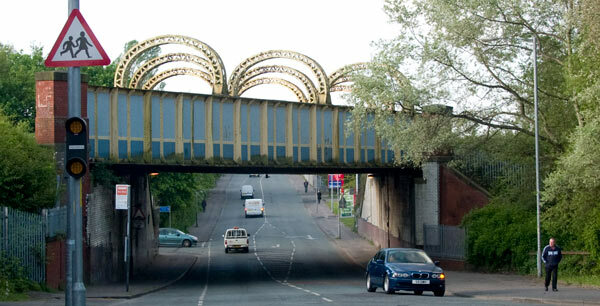 Find out more about bridges here.